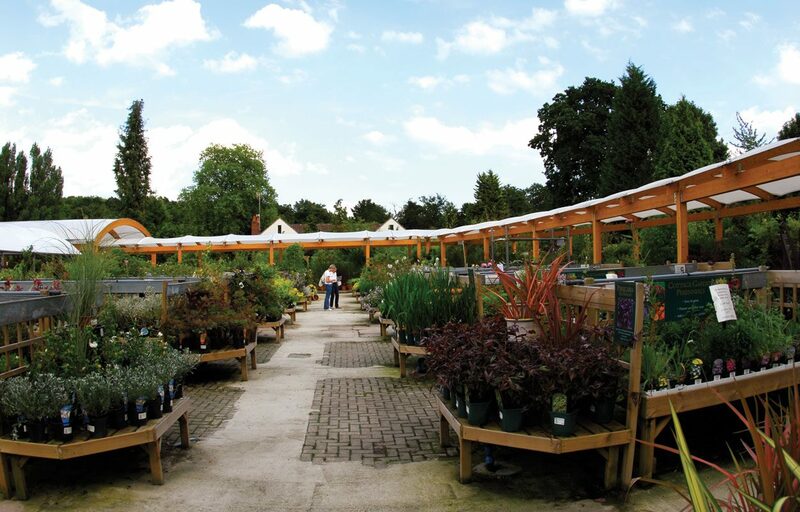 Timber walkways guide customers around external retail sales area at Ashtead Garden Centre. 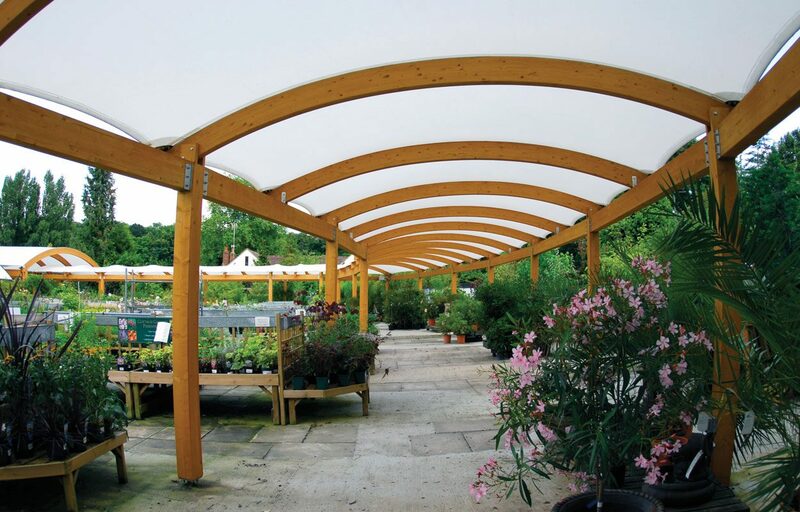 Walkways are an ideal solution to protect your customers and guide them through your external sales areas. 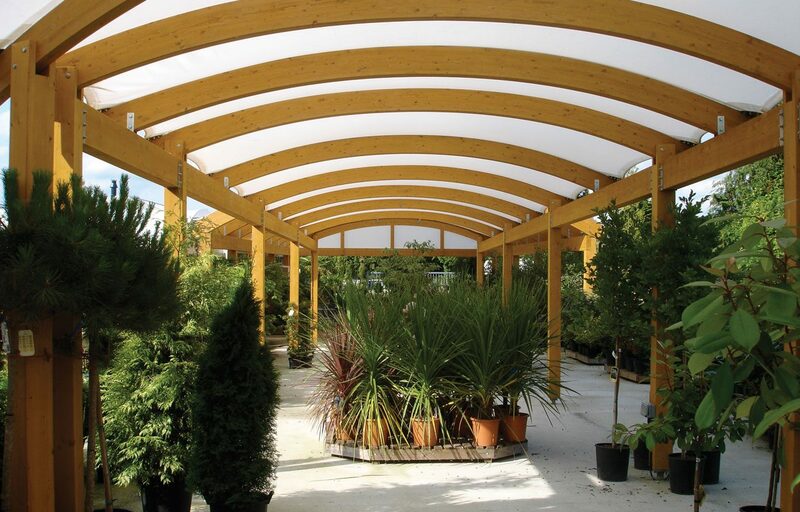 Fordingbridge installed a series of sustainably sourced timber finished in a light oak stain for our friends at Ashtead. 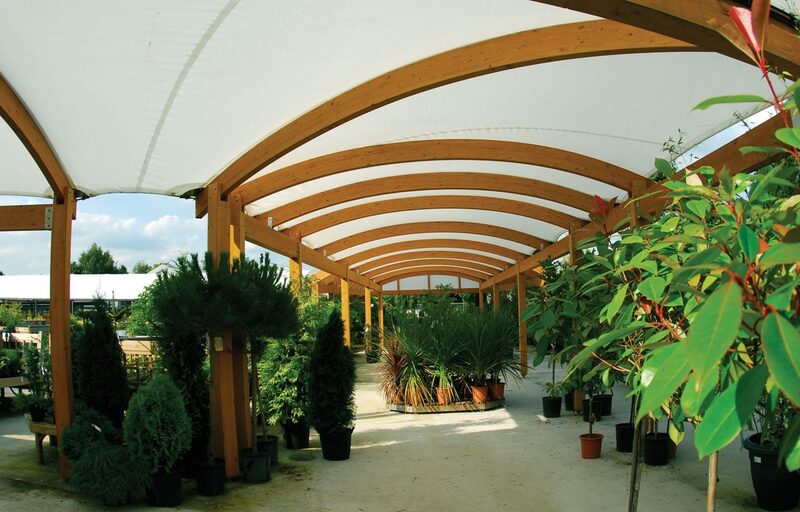 The structures fit in perfectly with the natural context. 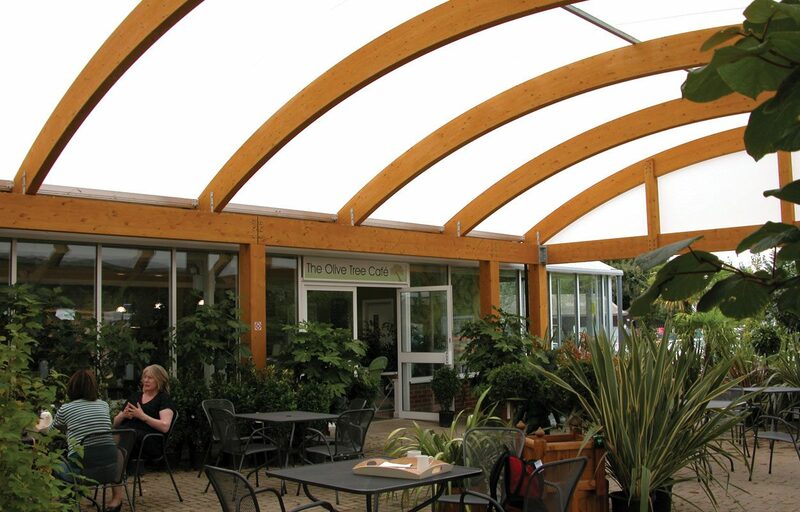 Completed by aluminium mill finish guttering and rainwater pipes, the timber structures are also covered by an Opal 60 fabric. 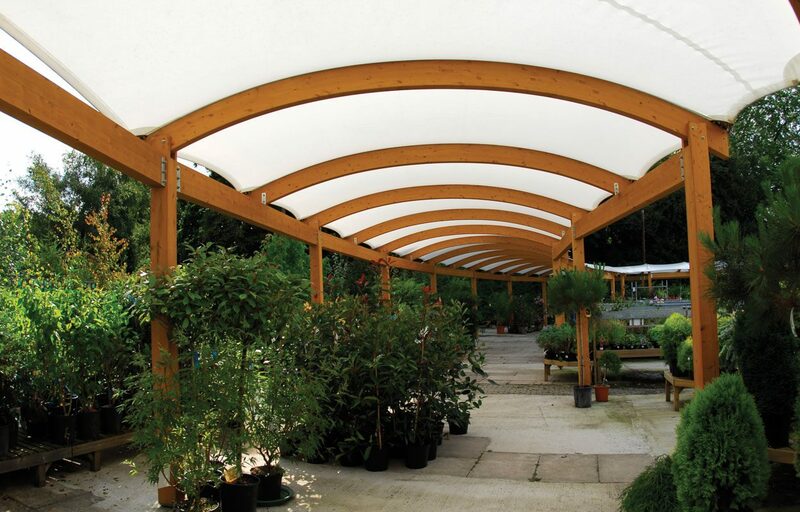 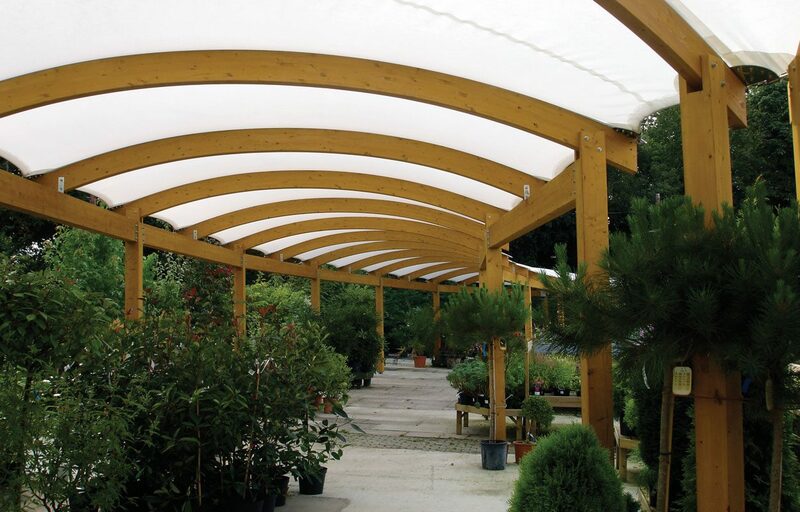 Developed exclusively for Fordingbridge, this fabric design allows maximum light penetration for the sales area underneath. 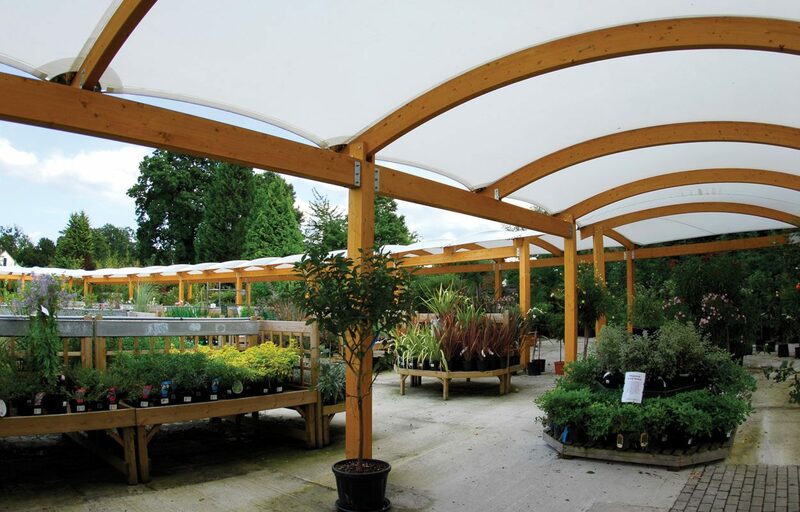 Roof: Fire retardant Opal 60 fabric that allows high light penetration while providing good UV protection: Our timber canopies can also be covered with hard-wearing translucent 16mm triple walled polycarbonate.